Cleaning leather can be a tricky chore. If you don’t get it right, the leather can begin to fade or crack. If you’re cleaning products aren’t strong enough, then your leather items are still going to smell like an ashtray. The best products to get smoke smells out of leather will require you to invest some time into your products. With some patience and repetitive treatments, you can be successful in restoring your leather to its previous luster. Vinegar and Water. Mix one-part vinegar with one-part water for a 50/50 solution. Rub the solution onto the leather with a soft cloth, careful not to saturate the leather. Allow the leather to dry and then continue repeating until the odor is gone. Vinegar can be replaced with rubbing alcohol for extreme odors. Dryer Sheets. If you store the leather items in an enclosed container with several dryer sheets, the odors of cigarette smoke will be pulled out and absorbed. The container must be airtight and it will usually take at least 1 week for results to be experienced. You can also use dryer sheets in a pillowcase with the leather item and run it in the dryer for a few minutes. Coffee Grounds. Coffee is extremely effective at removing odors. Bury the leather item in coffee for 48 hours and this will help to remove the smell. Baking soda can also be effective, but it can be a costly DIY method. You’ll need to use a full box of baking soda on your leather item every day. Remove the old baking soda at the end of the day and replace with a new layer. Only open the box and set in an enclosed container with the leather. Never apply baking soda directly to leather as it can damage it. If nothing else seems to be working, you can set your leather item outside and let the fresh air blow through the material. Several days of fresh air exposure can eliminate odors, but it may also dry out the leather if left in direct sunlight all day. This cleaner also works as a conditioner. It can clean all types of leather and will work on vinyl products too. It removes oil very effectively, which is often the cause of cigarette smoke being trapped in the item. It will not work for suede but does work on anything from shoes to furniture to handbags. This product is concentrated, so be sure to follow the manufacturer’s instructions to dilute it properly. This leather cleaner is ready to be sprayed onto your surface straight out of the box. It conditions at the same time it cleans, letting you wipe away the tars and oils without harming the leather during the process. Because it is pH balanced and designed to work its way into the pores of the leather, the oils and tars are suspended on the surface so you can remove them. It is one of the fastest, most efficient leather cleaners on the market today. If you have leather or leather-like surfaces that smell like cigarettes, then this cleaner gets the job done. It works on saffiano, durablends, faux leather, and compound products in addition to leather. Just spray it on the item and wipe it away to eliminate surface stains or hidden oils that can be causing bothersome odors. We found that it works just as effectively on light leather items as dark leather items. A microfiber cloth comes with the cleaner, but we recommend using an old toothbrush or similar item to work the cleaner into the leather before wiping it away. This clean and conditioner is a good option for delicate leather items that are plagued by cigarette smoke smells. It is a solution that is pH neutral and contains 6 different conditioners and cleaners that help to clean, moisturize, and then protect your leather from future exposure. 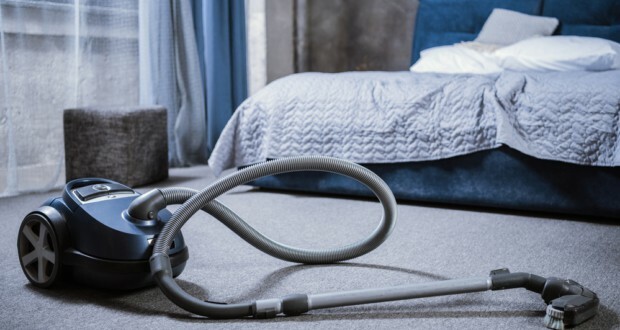 What makes this product stand out is the lack of a residue that is left behind after you’ve finished cleaning with it. Even UV protectants are included to prevent the leather from fading in the future. We’d recommend this product for genuine leather products only, though it is rated for synthetics. It is the best option for overpowering smoke smells from long-term exposures without any cleaning. Once properly applied, it will also repel water, which prevents future odor build-ups. 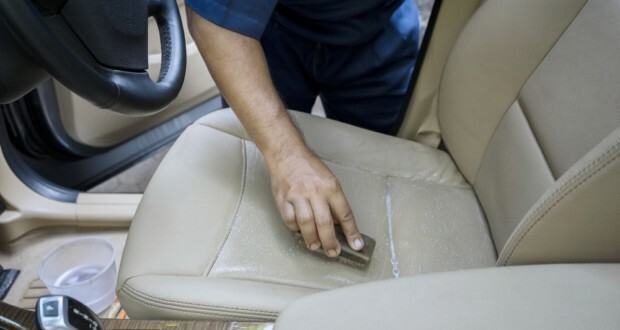 Once you’ve removed the leather odor, it is important to condition the material so that it will not dry out. Odor removal products, whether DIY or purchased, will often dry out the leather and increase the risks of cracking. By conditioning it thoroughly, you’ll be reducing the risks of future damage. You must also allow the leather to completely dry. The products used to remove the cigarette smoke smell must evaporate. Any residues that are left behind on the leather should be removed with a mild soap and water only. Then apply the leather conditioner as instructed by the product’s manufacturer. If you don’t have a leather conditioner at the ready, you can rub milk onto the surface of the item and then polish it with a soft cloth to reduce the risks of future damage. Then you can apply a traditional leather conditioner when you have access to one. It may take several attempts to remove cigarette smoke smells that are excessively strong. With enough patience and the idea and products above, however, you can restore the grandeur of your favorite leather items.